Showcase your culinary creations with the Frost fine bone china bowl 27.5cm. Created in collaboration with two-star Michelin chef Brett Graham, this bone china bowl has been designed in England to complement your pasta dishes perfectly. Lovingly crafted in collaboration with two-star Michelin chef Brett Graham, our new Frost collection combines a delicate decorative texture with a unique shape. 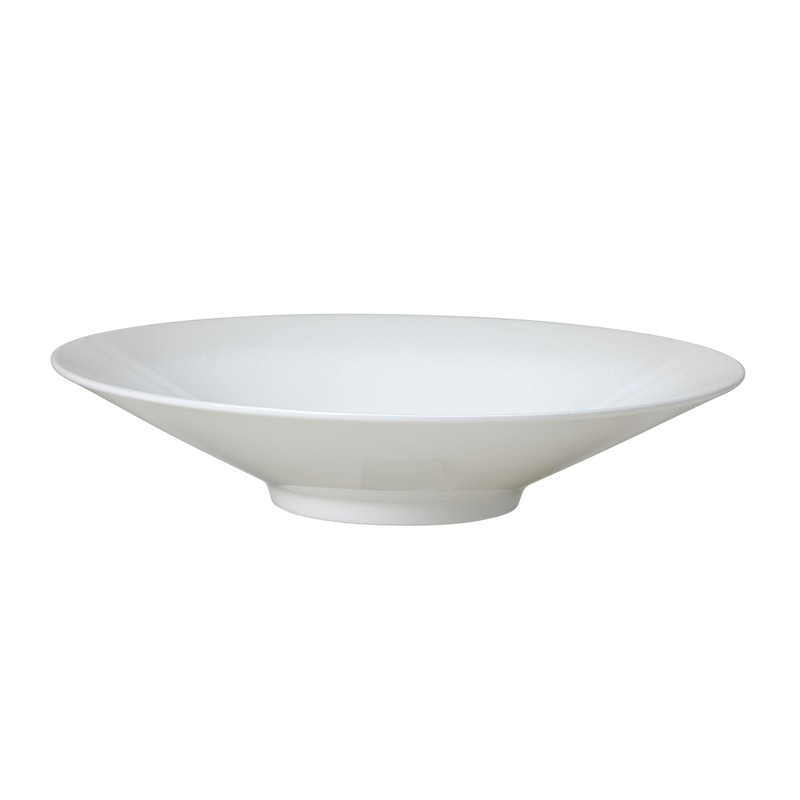 Showcase your culinary creations with the Frost fine bone china bowl 27.5cm. We have created the Frost collection of bone china tableware in collaboration with two-star Michelin chef Brett Graham, whose cooking at The Ledbury restaurant is renowned for its spectacular visual qualities. This fine bone china bowl is designed and hand finished in England to complement the presentation of your pasta dishes perfectly.